“Photography was the easiest part – what gnawed at my soul were the stories I heard and the things I witnessed,” says photographer Soham Gupta. His book Angst is not an easy read but you can’t bring yourself to stop going from one page to the next. His photographs are accompanied by short narratives and together they speak of a reality that many of us prefer to stay oblivious to. Here, we see the people that live on the margins of society. Those that we prefer to keep out of our periphery vision, literally and metaphorically. 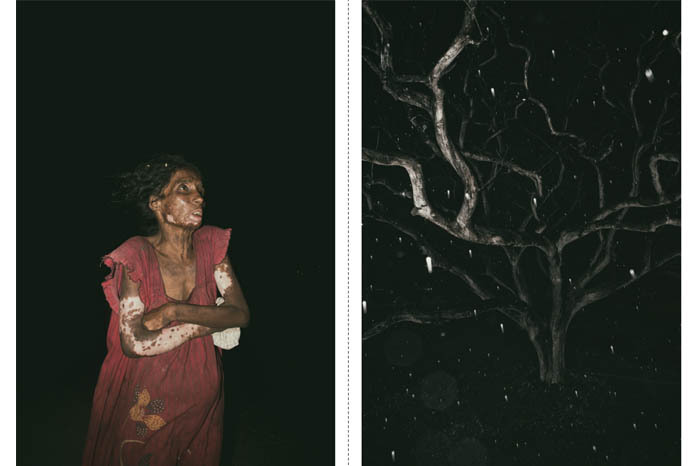 In this poignant series, he captures the poorest of the poor in Calcutta – the homeless, destitute, vagrants and wanderers in the dead of night. It was between 2009-2011 that Gupta was working on a series of portraits of drug addicts and the down-and-out that would take shelter under the Howrah Bridge in Calcutta. Building on it on and off, it was then in 2013 that it became taking shape into the collection that Angst is today. There is a sense of melancholia that seeps through each photograph and line of text in Angst. The visuals are unforgettable with a kind of nightmarish quality that makes you introspective in a way, taking you on quite a whirlwind of a journey with snippets and fragments of other people’s lives and experiences, interspersed with flashes of beautiful, yet haunting photographs. Many that become the muses of his lens are people Gupta says he knew from before, though he is always on the lookout for ‘characters’ and people he can work with. “I’d been offered a syringe by a drug user once, who said, ‘This is all I can give you!’ I am not judgemental, I don’t believe in morality or any of those crap, so, people find it easy to bond with me. Moreover, I am still very vulnerable; people can sense that I think,” he tells me. Going through the series, you can see the ease of some of the people being photographed in front of Gupta, but I can’t imagine it being a simple interaction and making of photographs. 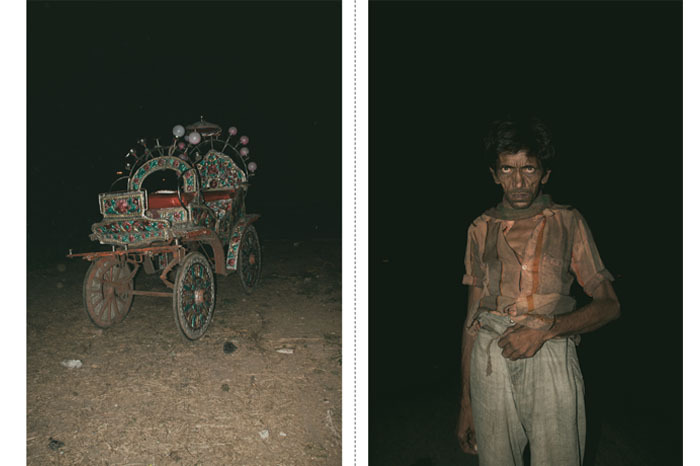 Gupta does this with a kind of authenticity that makes people more than photography subjects. The accompanying narratives are written by Gupta himself, all stemming from his field-notes. He keeps a journal of his experiences, weaving them into tales that are real, yet fictional – making his work take on an almost surreal detail of a dream. Angst, published by Akina Books, was shortlisted for the Photo and Text Book Award at Les Rencontres d’Arles in July and for the Paris Photo-Aperture Foundation First Photobook Award. Gupta tells me that people have either loved Angst or hated it, and he likes it that way. For this writer, Angst is an experience worth taking and a book that needs a spot in your collection. Though the standard edition of the book is currently sold out, a second edition is in the works for 2019. For more information you can visit Soham Gupta’s website here and read more on Angst here.